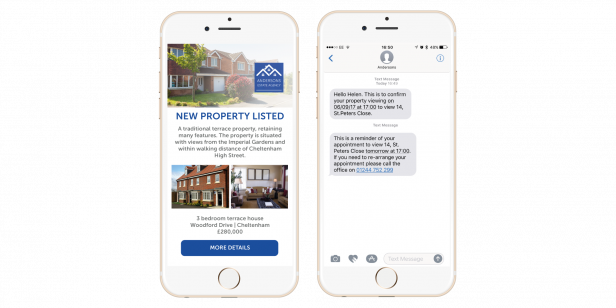 Whether you want to increase sales or avoid house viewing ‘no-shows’, using text message communications is the proven way to increase revenue and reduce admin for estate agents. SMS costs just 3-5p each and boast a 98% open rate, improving your service and saving your staff time on the phone. Using our free SMS platform, you can instantly contact 500 customers for under £25! To help you send your first campaign and trial our award-winning platform, we’re offering estate agents 100 free credits when they sign up. 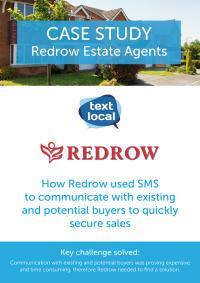 No contracts, just a simple introductory offer to help you explore business SMS.